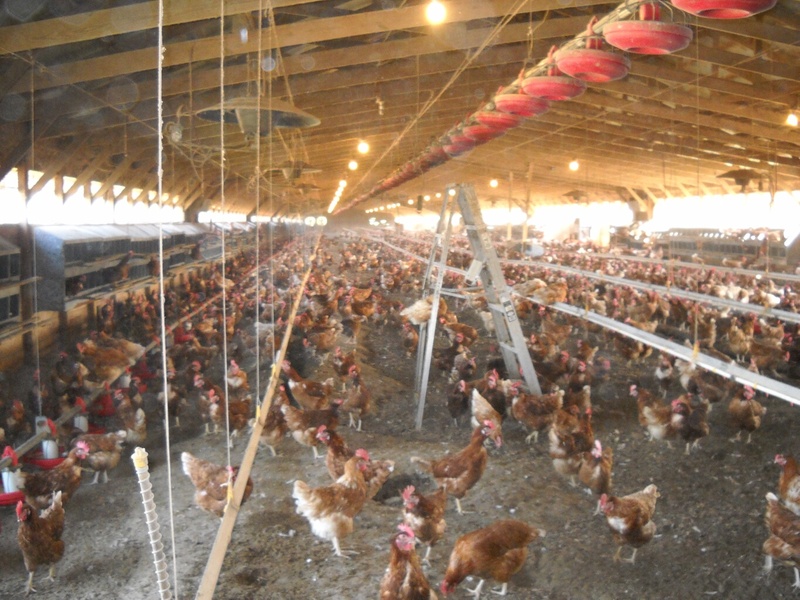 At TENNESSEE VALLEY EGGS, 5000 birds walk freely around in a 50 x 400 foot house. 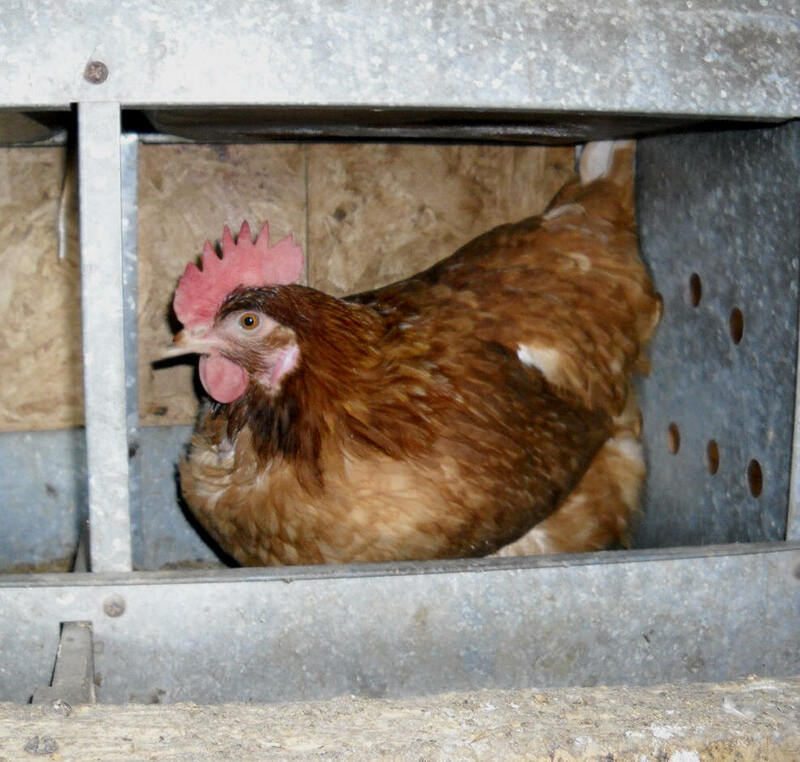 Most cage-free egg producers would have 20,000 in the same size house, giving each bird approximately 1 sq foot. Jerry provides 4 square feet per bird - with plenty of space for walking and moving. At night Jerry says they all crowd to one end of the house and cuddle. He has sunlight streaming in from windows, with feeders and waters lines the length of the building. His hens eat and drink whenever they wish. There are nesting boxes all around the outside walls. His hens fly up, land on the perch, get into a nesting box, then settle happily and comfortably to lay their egg. 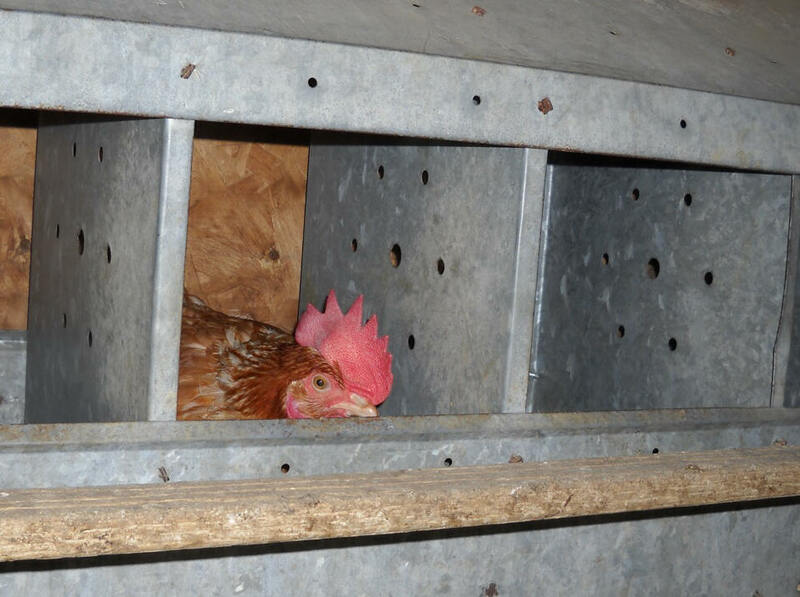 Pictured above - one of Jerry's mother hens very happily ensconced in her box. Pictured at left - a second hen having just laid her egg, proudly stands on the perch, CROWING loudly for quite some time. Jerry says most of his hens crow proudly to tell the other hens they've laid their egg! 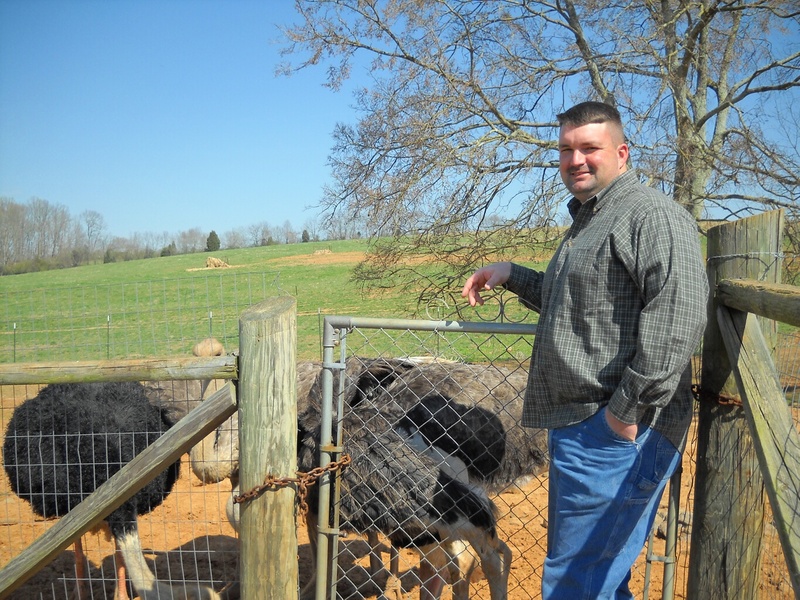 Tennesseans should be proud to have these incredibly edible and healthy eggs from local hens who are treated humanely. Jerry needs you to tell your grocer to place his eggs in their grocery. They're already in healthy stores like Greenlife Grocery, Nutrition World & Village Market. Now they need to be in ALL area grocers! We, like Martha Stewart and most cooking show hosts, need the much healthier brown cage-free eggs for our health, and to be humane toward the hens.